Did Bayit Yehudi push hareidim too far? UTJ appears set to abandon right-wing posture. The heads of United Torah Judaism, the Ashkenazi hareidi party, may be taking a turn toward the left wing in a bid to forestall a bid to force yeshiva students into military enlistment and national service. According to Maariv, UTJ is preparing a document listing its principles for the coalition negotiations. The principles reportedly will include a green light for Prime Minister Binyamin Netanyahu to make territorial concessions in exchange for "preserving the yeshiva world" and maintaining the status quo regarding enlistment of hareidim. Until now, the party has been seen as part of the right wing bloc, which is opposed to territorial concessions. A source in the party told Maariv, however, that UTJ will now support uprooting isolated communities in Judea and Samaria, as well as a construction freeze outside the "settlement blocs." It would also vote in favor of halting the flow of budgets for Jewish communities in Judea and Samaria. These positions, the newspaper reported, may make it easier for the prime minister to offer U.S. President Barack Obama concessions regarding Judea and Samaria settlements when Obama visits Israel in March. 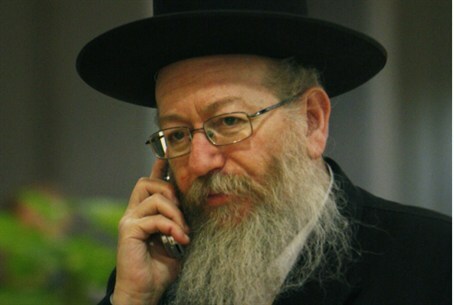 The press leak by UTJ regarding its plan to change tack regarding the settlement enterprise is an obvious warning to Bayit Yehudi and the religious Zionist sector to "rein in" Bayit Yehudi leader MK Naftali Bennett, whose pact with Yesh Atid leader Yair Lapid appears solid. Lapid heads a mostly secularist party and wants to force most hareidi men to enlist into military or national service. He refuses to even sit in the same government with hareidi parties. Bennett is using the pact with Lapid to exert pressure on Netanyahu, who has been treating him with undisguised coldness, not deigning to meet him until after he had met all other potential coalition partners and even some opposition party leaders. This, despite the fact that Bennett has consistently said he supports Netanyahu as prime minister.